Welcome to Filament’s Monday Morning Meeting: a mix of innovation news, the tools we use, and the interesting things we found to help you think differently about your week ahead. You can also check out past issues of the newsletter and subscribe here. The greatest gift you can give your audience is a passion for your material. If you don't care for it, they won't care for you. Your audience’s attention is a lot like your virginity. You only get to lose it once. PowerPoint is always optional. A bad speech doesn't improve when accompanied by slides in a dark room. If PowerPoint makes it easy to do, you probably shouldn’t do it. Avoid bullet points, clip art and cheesy animated transitions at all cost. The number of words on a slide is inversely proportional to the attention your audience will pay to them. Your slides are not your script. The purpose of PowerPoint is to help others understand your material, not to help you remember it. Never read your slides. When you do, it suggests to your audience you think they’re incapable of doing so themselves. The average person remembers just three things from your presentation. Great speakers make certain everyone remembers the same three things. Unless your presentation tells a story, the audience won't care about the ending. They’ll just pray for it. Never underestimate the impact a great presentation can have on your audience or your career. Being well prepared serves both of them well. Before you make your preliminary decision, you aren't allowed to call a meeting. If you invite me to a Modern Meeting for which a clear decision hasn't been established, I'll look at you, puzzled. I might even walk out. 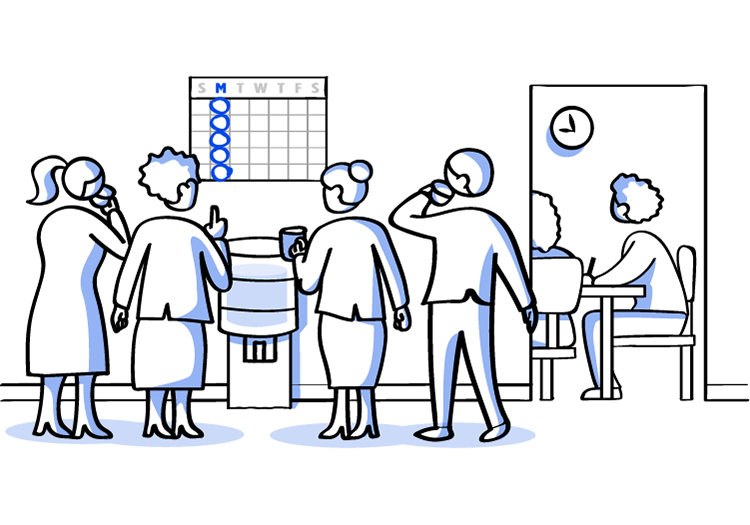 Modern Meetings can't exist without a decision to support. Not a question to discuss—a decision. If you’re like me and you have a lot of highlights in your Kindle e-books, you’ve got to check out Readwise. Every morning, I get a random selection of things I’ve highlighted from nearly twelve years of Kindle reading. It is a daily dose of inspiration and a great way for me reconnect with the insights and ideas from books I’ve read years ago. This is why trying new things is so hard to do. When it comes to finding reasons to be grateful—I think of them as avenues of appreciation—it helps to follow a practice I call the POET approach, which stands for People, Opportunities, Experiences, and Things. Your inbox isn’t just a list of other people’s tasks. It’s where other people help you do your job. These are the three most useless words in the world of communication. The person asking doesn't really want to know, and the person responding doesn't tell the truth. What follows is a lost opportunity and meaningless exchange with zero connection. Drill this into your head: It is a horrible icebreaker. There are a few exceptions, like if it's a genuine interest of yours and your boss or colleague shares that passion. But try to move beyond those cliché topics to things that are more important and personal to you. That’s not what my experience shows. That will never work here.